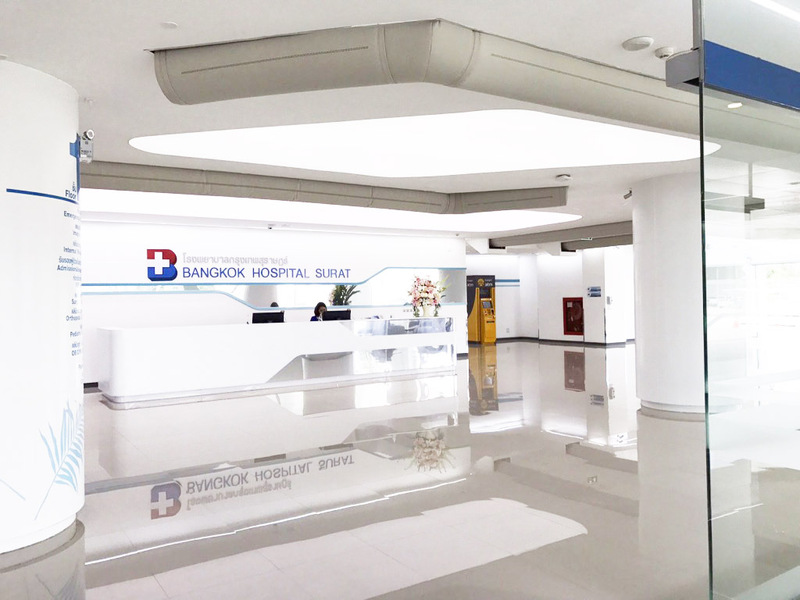 When Bangkok-Surat Hospital, Surat Thani, set out to construct a new state-of-the-art hospital they wanted to make best possible use of the space, while not compromising on quality and comfort. Selecting FabricAir dispersion solutions ensured a draft-free environment, with no added background noise from the ventilation ducts. 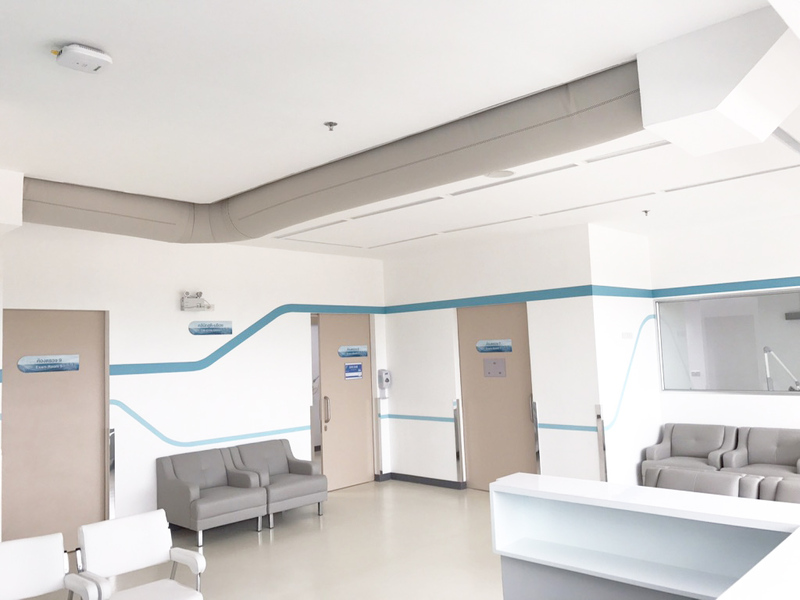 The hygienic nature of the ducts, as well as minimal maintenance and easy cleaning makes this air technology superior in hospital applications. 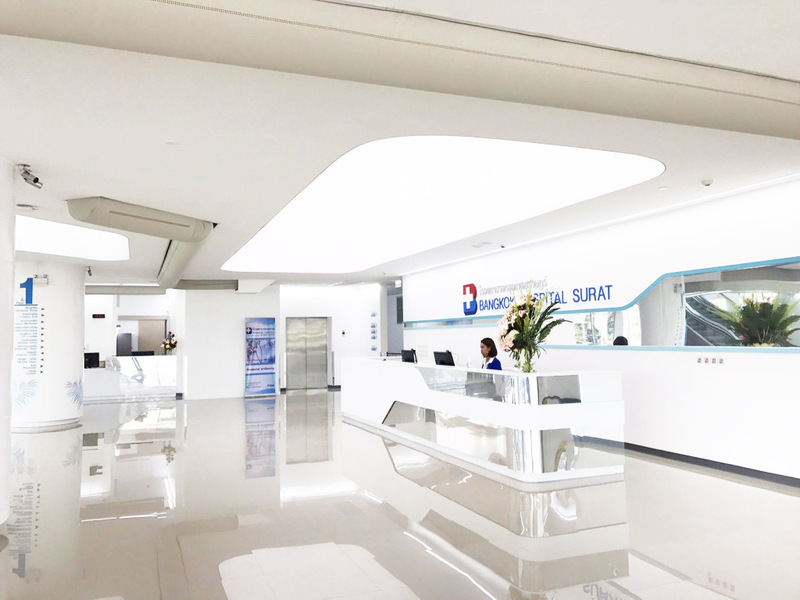 & Interior; L&E Lighting and Equipment Public Company Ltd., Lighting. 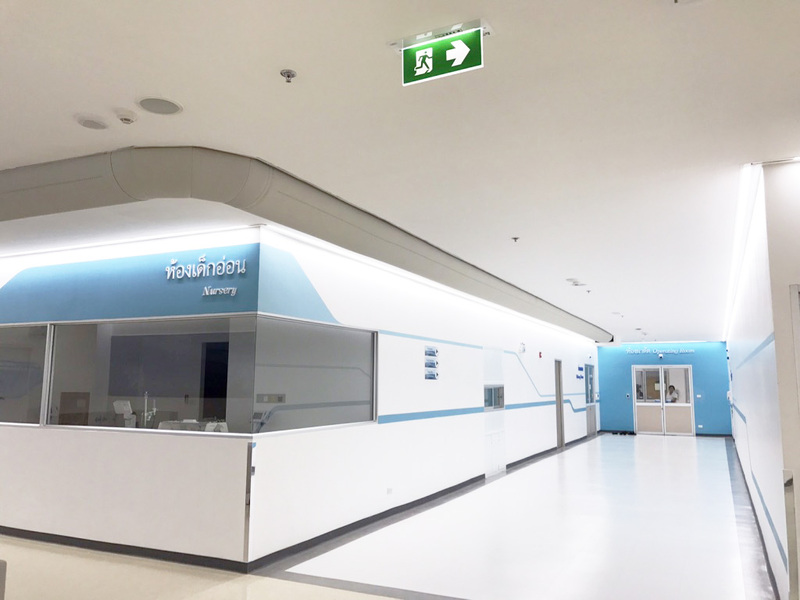 Together we delivered a space saving solution consisting of 31 individual set of ducts, representing a little more than 570 meters of ducting for the two levels. Using fabric ducting means only one connection point, which reduces the concealed piping and eliminates the need for condensation isolation. 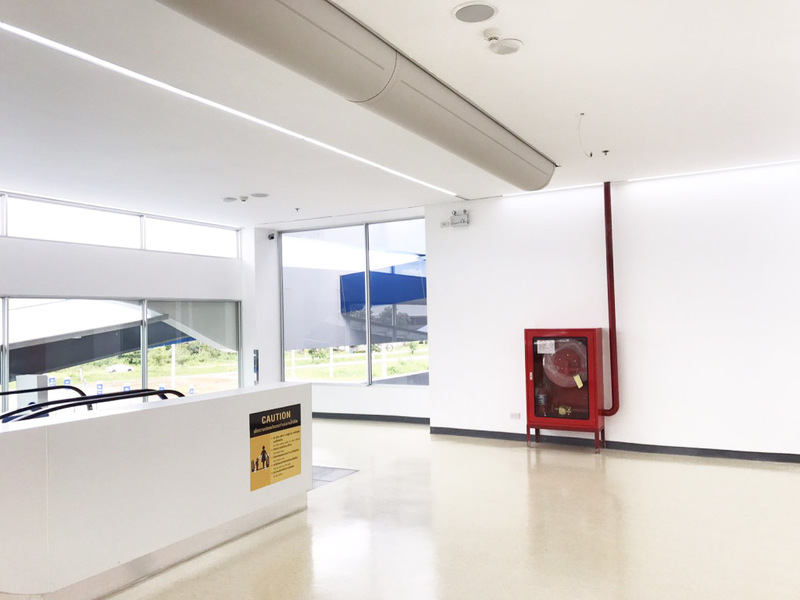 Ducts were tailored in light grey Combi 20, with SonicFlow™ and FabFlow™, and suspended by Type 3 suspension, which allows easy removal for frequently washed applications. This makes it especially suited for hospital environments. Moreover, the solution is virtually silent and delivers even, draft-free air dispersion for superior comfort even where cooling capacity is large. The result is an efficient, aesthetically pleasing solution, which takes up significantly less space than its metal equivalent. 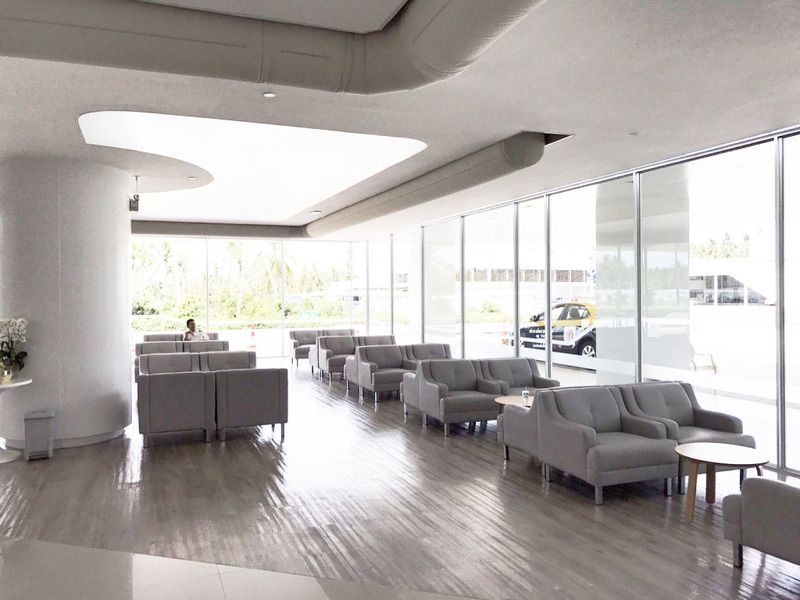 Due to the technology, the solution delivers superior comfort to the waiting rooms, foyers and hall ways.